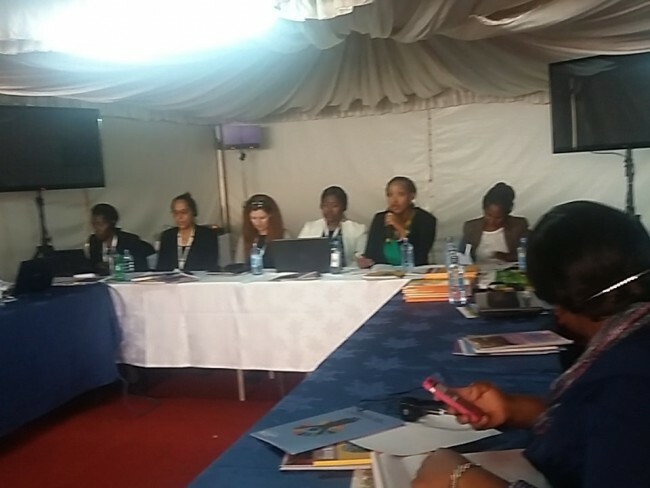 We the undersigned Feminist,Women’s rights Orgnisationsand civil society groups committed to advancing women’s human rights attending the UNCTAD 14 in Nairobi make this collective statement building on the collective civil society declaration. Key Message: We are alarmed that the approach taken at UNCTAD 14 negotiations threatens to undermine the capacity of UNCTAD to support developing countries to build just, fair, equitable and sustainable economies capable of advancing women’s human rights. Women’s human rights are integrally linked to UNCTAD’s mandate. We cannot support mere references to Gender Equality without allowing UNCTAD to advance the work to address global macro-economic injustices. We strongly urge governments to support and strengthen UNCTAD’s mandate to advance global cooperation on: reviewing the human rights, gender equality and sustainable development impacts of bi-lateral, pluri-lateral and multi-lateral trade agreements; advancing application of the debt principles and addressing debt issues; supporting global tax reform and cooperation including curbing illicit financial flows; addressing trade mispricing and evasive corporate governance structures and promoting fair, equitable, gender responsive, rights based and transparent investment policies. We support the original proposed text in 87 (cc) (y) but suggest replacing ‘empowerment’ with ‘women’s human rights’. Rather than add the additional text that directs focus on particular issues we would prefer to see gender equality integrated into paragraphs that provide UNCTAD with a mandate to address structural macro-economic inequalities. We do not support reference to the Women’s Empowerment Principles of the UN Global Compact as they fall far below existing normative human rights obligations and are not inter-governmentally agreed. We support the addition in 21(d) to incorporate Women’s Human Rights. We do not support adding the footnote on the Women’s Empowerment Principles of the UN Global Compact. References to the Financing for Development agenda should address the totality of the FFD mandate, including commitments made in Accra. We support the proposed additional paragraphs under section 61 and where UNCTAD is directed to conduct impact assessments we propose adding impact on women’s human rights. For example para61 (gg) (v) … trade, employment creation and real wages, women’s human rights, as well as the wider impact of Investor-State Dispute Settlements (ISDS)…..
We believe that the document must refer to the existing Right to Development and to the principle of Common But Differentiated Responsibilites (CBDR). We support the retention of language that makes it clear that “ ….private sector financing should be complimentary to, not a substitute for, public financing” and we believe that UNCTAD must strengthen its work to regulate Transnational Corporations and should have a role in advancing the work agreed by member states in the Human Rights Council to develop a binding instrument to regulate Transnational Corporations. …….. The crises of neo-liberal capitalism identified in that statement – of deepening and obscene levels of inequality, of runaway catastrophic climate change and of conflict and humanitarian crisis are all felt differently and more deeply by women, particularly in the Global South. UNCTAD14 provides an opportunity to address the structural injustices that frame current global trade and development policies and drive inequality. Trade and development are feminist issues. 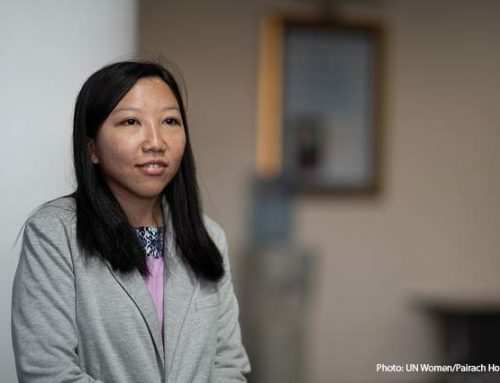 A commitment to advancing women’s human rights must be explicitly incorporated in the principles and operational paragraphs of the outcome document. We stress that UNCTAD, underpinned by UN principles and normative standards and with universal and democratic membership, is the most appropriate venue for trade and development matters to be collectively addressed. We understand that some member states are concerned that women’s human rights are not within UNCTAD’s mandate and could stretch the limited resources of UNCTAD. We appreciate these concerns but stress that it is precisely because UNCTAD must be able to fully address the systemic , structural imbalances in the international trade and development agenda that it’s work is critical to advancing women’s human rights and gender equality and achieve targets in the SDGs. A clearer mandate to address the systemic, macro-economic constraints to fair, just and sustainable development will enable it to strengthen its gender equality work. We appreciate the importance given to gender equality and the dedicated work of UNCTAD. However, we are concerned that the approach taken tends toward instrumentalising women as agents of economic growth. UNCTAD could do important work in assessing the impact of trade and economic liberalisation on women’s human rights. But it must look at the way these policies impact on states’ capacity to meet their human rights obligations including women’s human rights and the right to development. We are concerned that the Ministerial Round Table diminished the significant connections between structural economic transformation and women’s human rights. We are also deeply concerned that organized women’s rights groups present were prevented from properly engaging in the Round Table. The country reports have not given adequate attention to the impact trade liberalisation has had on state resources and expenditure and the subsequent impact on public goods. UNCTAD’s paper does recognise that “strengthening domestic resources in developing countries would require a number of actions, including rethinking international tax rules, reinforcing the capacity of developing countries to tax, prosecute evaders and negotiate fair agreements with multinational corporations, and furthering and broadening the discourse on global governance in tax issues”. The absence of strong language on taxes, tax evasion and regulation of multinational corporations undermines the capacity of UNCTAD to contribute to gender equality. Domestic resource mobilization and progressive taxation in social economic sectors is critical to gender equality. Recognising the important and sustainable role women play as small scale agricultural producers is important. Yet discussions of empowerment are essentially vapid if concepts of power are removed from notions of empowerment. Trade liberalisation often widens power imbalances between countries, between multi-national corporations and local small scale enterprise, between rich and poor and between men and women. Empowering women requires securing land tenure, protection from land and resource grabbing, promoting energy democracy, supporting women’s movements to develop their capacity to adapt and prevent climate change and ensuring women have access to public goods, services, health, education and social protection. Empowerment must also include recognising and supporting women’s collective power – whether through collective producers networks, collective labour power or feminist movements. It is too simplistic to suggest that connecting women small scale producers to global markets will result in an increase in women’s power and a decrease in gender inequalities. The promotion of monopoly cash crops, the finalicialisation of commodity markets, technical trade facilitation, debt arrangements for inputs that form part of global commodity markets can all contribute to reduced food sovereignty and reduced local autonomy and the assessment of their gendered impacts has been inadequate. We appreciate the efforts to produce country specific analysis of the gendered implications of trade liberalisation but concerned that the scope of these assessments has not sufficiently addressed the structural implications of reduced state revenue, reduced policy space, the burden of care work, the informal economy, the rate of inequality (in wealth and income) within the country or the power that women are able to collectively exercise. 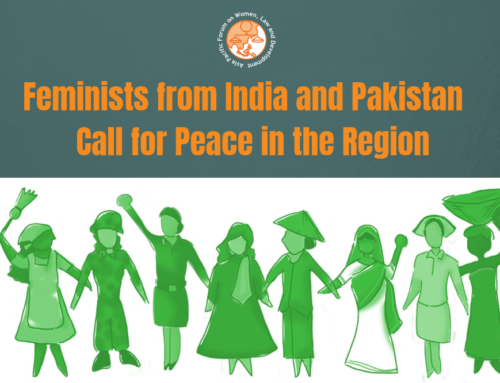 We urge UNCTAD to recognize regional and continental commitments that are progressive on promoting women’s human rights and gender equality and incorporate them in their analysis, peer review and accountability by member states. We recognize the proclaimation by the UNCTAD Secretary Genderal committing to ensuring a gender perspective in delivering its mandate including its publications. It is imperative that the gender agenda should not be undermined neither should it be siloed but be explicit in line with this commitment. Trade and Investment Agreements – Mounting evidence and awareness that neo-liberal economic policies widen inequalities, impact most negatively on already marginalized groups, including women, and pose a threat to the future of the planet has failed to shift government policy in most states. While paragraph 30 of Agenda 2030 strongly urges states to “refrain from promulgating and applying any unilateral economic, financial or trade measures not in accordance with international law and the Charter of the United Nations that impede the full achievement of economic and social development, particularly in developing countries”, trade agreements that conflict with both Agenda 2030 and the UN Charter were pursued immediately after the agreement was signed. These agreements give multi-national corporations powers to challenge national policies designed to advance environmental protections, fiscal policies, labour rights, affirmative action policies, public health and public access to basic needs and services and human rights. The proposed and concluded agreements include clauses that directly contradict targets within Agenda2030 including on access to medicines, seed availability and sovereign policy space. 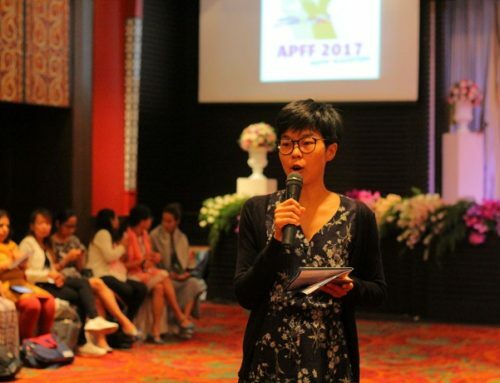 Trade Agreements magnify existing inequalities and have been found to have a discriminatory impact on women, Indigenous peoples, people living with HIV or other illnesses, people with disabilities, young people, older people, rural communities, workers and those dependent on state support, living in poverty or those already ‘left behind’. We call on member states to cease negotiations of investor driven trade and investment treaties, eliminate the Investor State Dispute Settlement mechanisms and direct UNCTAD to conduct human rights, gender equality and sustainable development impact assessments of existing bi lateral,, multi –lateral and pluri-lateral trade and investment agreements. GVC – Globalised neo-liberalism depends on the exploitation of women’s paid and un-paid labour. Global supply chains are largely dependent on cheap, exploitable labour of women with precarious, contractualised conditions, an absence of health and safety, social protection and unionized labour. Promoting the feminization of labour in export industries implicitly depends on exploitative,unorganisedlabour and social inequalities, such as the gender wage gap, as a source of competitive advantage. 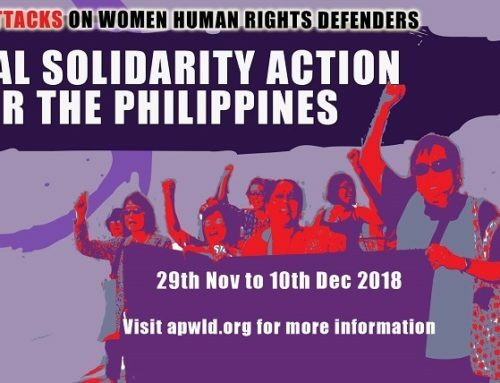 We call on UNCTAD to deepen its analysis of the gendered impact of the explotation of extractives particularly in Subsaharan Africa and in countries experiencing conflict and address violence aganst women in trade and development, trafficking and explotation of women’s labourin member states. Debt – The outcome document should provide UNCTAD with a mandate to support solutions to the debt crises and to address debt issues that continue to jeopardise the human rights of women and girls worldwide. UNCTAD can play an important role in supporting the application of the debt restructuring principles and develop a multilateral legal framework for sovereign debt restructuring. Climate Change– The primacy of trade rules and investor interests over environment and public interest limits the capacity of states to address the climate crisis which threatens the liveiloohds and lives of growing numbers of women in the global south. Climate change is deepening inequalities and, perversely, threatens to reverse any development gains and transfer more wealth from the South to the North. 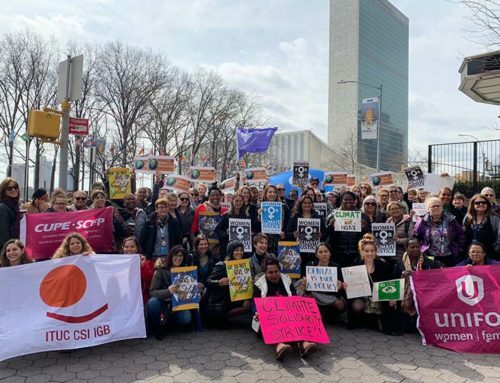 Trade and investment rules are limiting the capacity of states to regulate in the interests of the climate and protect the right to development of women in the global south. Palestine – We support the work to bring particular attention to the unjust trade restrictions and corrosive anti-development practices imposed on Palestine. These unlawful human rights violations have particularly devastating impacts on women’s human rights and the right to development in Palestine and diminishes the potential to achieve universal sustainable development.